The first Canfield Market was such a success that it’s happening again! 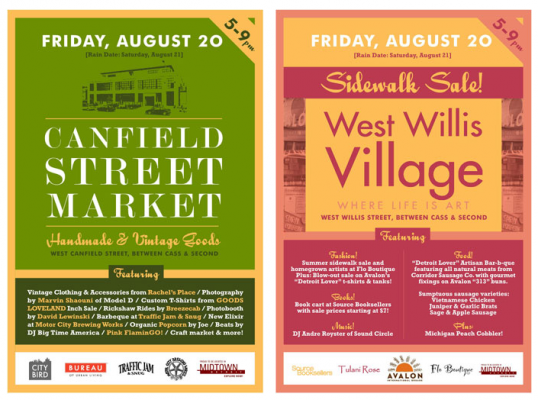 Support your local merchants by heading down to Canfield this Friday, Aug. 20, from 5-9 p.m. Also happening during this time is the West Willis Village Sidewalk Sale. Check out City Bird for more info.